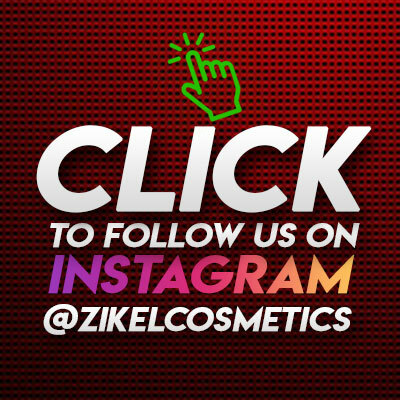 Zikel Cosmetics is a Nigerian brand born from a 'great passion for makeup & beauty and the need to provide high quality makeup products with international standard for the African makeup lovers.' We focus on providing quality and affordable makeup products that are clinically tested and designed specially for the African woman. Our major goal is to bring high quality and affordable makeup products and tools to makeup lovers and professionals everywhere in Africa. Our Vision is to become a globally respected beauty brand of African origin! Our mission is to create quality makeup products that are affordable and to empower young makeup enthusiast to become their own boss. PASSION for what cosmetics can bring to women and men: well-being, self-confidence and openness toward others. Without this PASSION, the ZIKEL adventure would not be possible. INNOVATION is essential because beauty is an endless quest that constantly requires a higher level of performance. At ZIKEL, this is vital, that’s why we keep discovering new ways to create products that are truly different and surprising to always stay one step ahead. ENTREPRENEURIAL SPIRIT a synonym for Autonomy, challenge and adventure, has always been encouraged and embodied in a specific management style. Today it is still the driving force behind ZIKEL cosmetics. We believed in the important of each individual and their talent. OPEN-MINDEDNESS listening to customers and understanding their culture and differences are absolute priority in order to respond to the infinite diversity of beauty aspirations around the world. This is a core value. QUEST FOR EXCELLENT a value that permeates every aspect of our business, that is express in a state of mind and constant pursuit of perfection. We share a great desire to surpass ourselves to be able to provide the best for our customers. RESPONSIBILITY as an African leader in beauty and cosmetics industry, we have the duty to preserve and provide cruelty free and healthy makeup products and to contribute to the well-being of our employees and community in which we are present.